Sammi Cheng is exactly what you call a commercial actress and her track record as Box-office queen for the past decade only enhance my statement. However, 2005 HK cinema is a year of change, for better or for worst – casting against type with Aaron Kwok in mismatched clothes, Ekin Cheng with glasses, Karena Lam as ugly monster, Leon Lai as handicapped and finally Sammi Cheng as an actress. Based on a real life story, Kwan attempts to recreate not one love story, but he ones that come and go in the live of one woman. While, watching Sammi Cheng is always interesting and the movie at times entertains, but ultimately the effect is far too distant and separated from its audience for its own good. Sure, Everlasting Regret isn’t unwatchable, but Kwan isn’t Wong Kar Wai who somehow can make a scene of the sky into art and it is exactly where Kwan fails – a beautiful painting without a fitting frame. 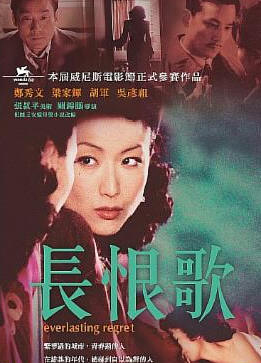 The movie goes like this: Based on Wang Anyi's Changhen Ge, the multi-award winning novel that was voted the most influential work of the 90s in China, Everlasting Regret follows a legendary Shanghai beauty (Sammi Cheng) from her glamorous days to her simpler life, as she struggles to preserve the dignity of her past while surviving the constant betrayal of her men. She stands tall and proud as she bears witness to the waves of changes to her city from 1947 to 1981, until one wave finally overwhelms her. Perhaps the best thing about this movie is its well thought out title – Everlasting Regret as it not only sums up the movie in two provoking words, but also defines Sammi’s character and the everlasting pain of regrets living within her eyes. While the pacing of the movie is a heck too slow and even at times boring, nothing can be taken away from the beautiful recreated sets of 1900s Shanghai, nor the coming of age performances from Sammi or the paper thin role that Tony Leung Ka Fai made so memorable. Neo have never been fond of rumours nor did he believe in Sammi’s troubled conditions while filming. With all said put aside, Neo can broadly claim that while Sammi is clearly miscast, but her performance here showed great commitment, strength and the regrets living within her eyes are radiant along with the hint of natural beauty within her character. It is a flawed, yet beautiful performance, that while couldn’t quite save the movie, but it made Sammi into an “actress”. Sure, many viewers will be criticising Sammi for constantly starring into the distant, in an attempt to show her depression and in return disconnecting the audience from understanding her character and deep thoughts, but that’s to the fault of the director than her own abilities. 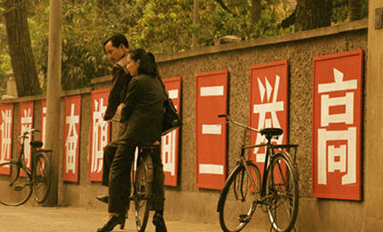 In a way, Everlasting Regret seems like a female version of WKW’s 2046 as it share similar themes of chance meeting, romance and regrets, but that is where all the similarities end. While the latter is heart felt, Regret is seamlessly distant and the result is a huge missed opportunity on the director’s behalf. However, Kwan’s work is at times engaging, though rarely, the first 45 minutes is a seamlessly enthralling ride with a clear intention – “it’s no good meeting the right person, when history doesn’t allows it.” Sammi’s romance with the Police chief is fascinating to uncover the feelings of regrets and wrong timing is all the more evident. However, the meeting time is far too short as Kwan seems to be rushing through her life like someone who is late to work during rush hour and stopping at every traffic light along the way. The effect is like a car spending off and cruising on a highway, and then all of a sudden, it turned into a “no through road”. If only more time is spend on each relationship, perhaps it would be a very different movie, but then again – who knows? As noted before, Tony Leung Ka Fai is suitably wasted in a tole that is as thin as a sheet of A4 paper, but somehow he made the role more realistic than intended, more believable and more insanely human. Leung fits in to the exact mode as to what a friend of mine once told me – “it is alright to wait, but if you end up waiting for the wrong person, then you will be wasting your time.” However, the problem exist within the fact that nobody will ever know the future, so what makes someone a “wrong person” to wait for?